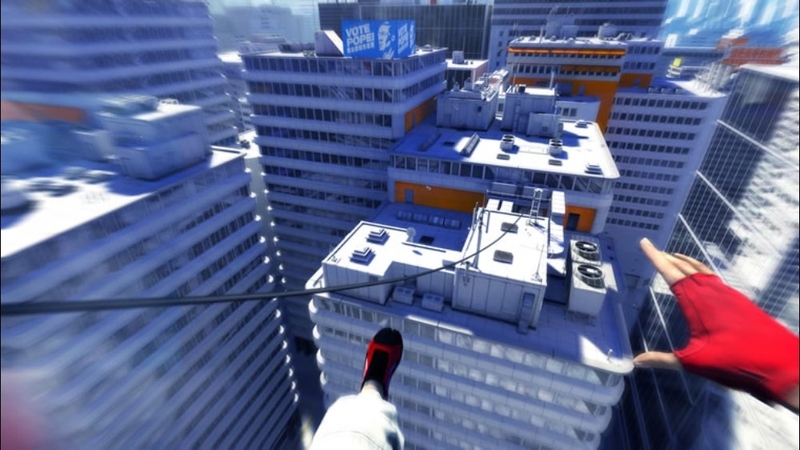 Mirror`s Edge is a breath of fresh air among the barrage of games out this fall. It`s an exhilarating ride that provides highs and lows that show that doing something different can be rewarding, but also can come at a price. You play as Faith, an experienced "Runner" that's transports material for clients around the city. You'll mostly leap around on rooftops and high areas, as you outrun and jump pursuing cops and soldiers. 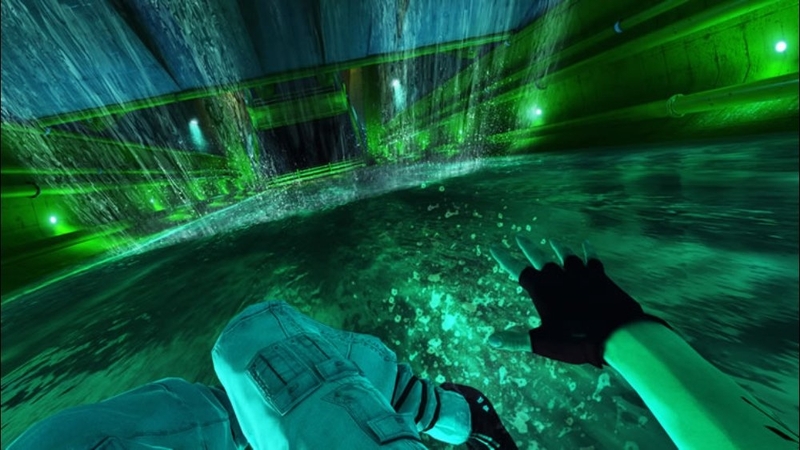 In order to keep the player focused and on the right track, certain objects change to a bright red which works most of the time. By the pressing the B-button, players are also shown where they need to ultimately end up being to move on. 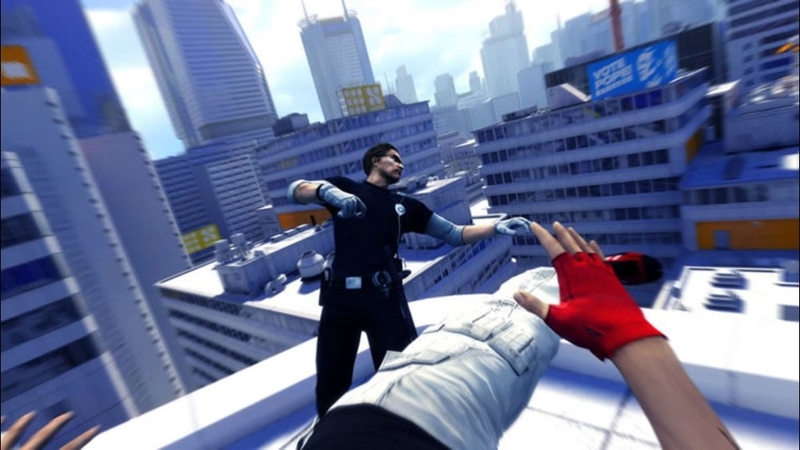 The game`s cinematics are presented in animated cut scenes, with a few in-game 1st person shots that briefly explain what to do next. Most objectives are delivered via Mercury, Faiths mentor and boss who communicates through a headset faith wears. What I like about the game is that you really feel like you are the main character and that you are pulling off amazing actions which feel smooth and exhilarating. This is what the game does best and mostly keeps this feeling alive the entire game. The length and combat frustration are the main negatives for me about this game. You can complete the campaign in around 5 hours and have a complete experience. There are time trial leader boards and speed runs to complete, but these may not be enough to warrant a purchase in my opinion. Next is the combat. Sometimes Faith will have no choice but to fight and these situations definitely bring down the game. 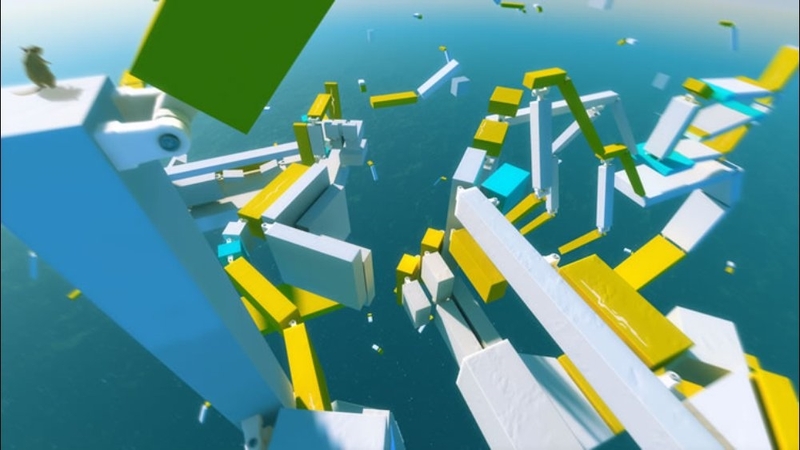 You can do cool kicks and punches, disarms and take downs, but the overall combat isn`t as fun as just running around and jumping over buildings. Faith will usually die after a couple of bullets and melee attacks, no matter the difficulty you are playing on. Overall it is a nice break from killing aliens, Nazis, and robots, so I would still recommend it for at least one playthrough. 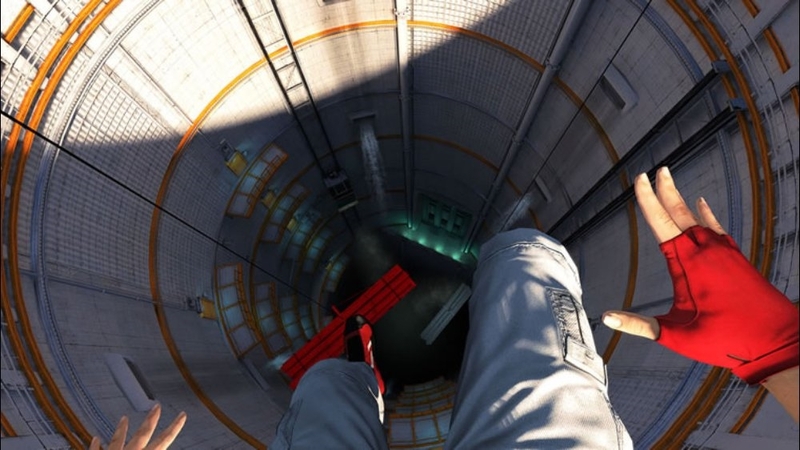 If there is another Mirror`s Edge, a few tweaks here and there would make this game a must buy.